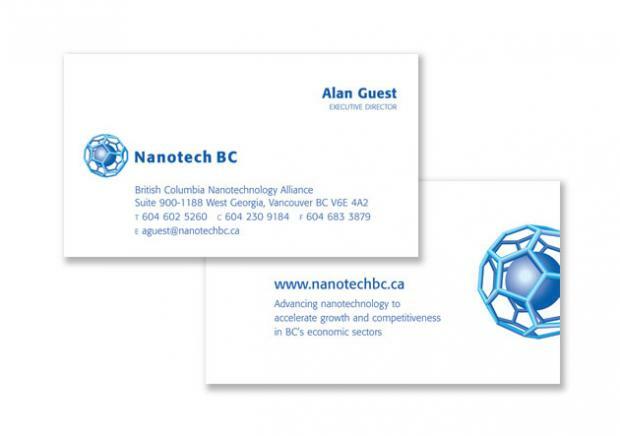 Nanotech BC was formed to provide a voice for the British Columbia nanotech community, and to educate and support the growth of nanotechnology with business, research, academia and government stakeholders. 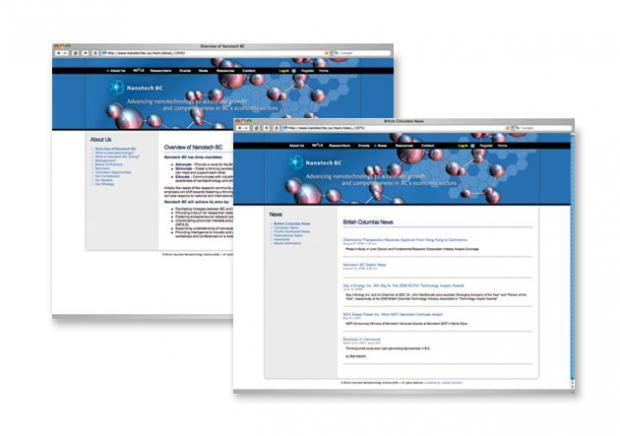 The objectives of Nanotech BC were to establish linkages between other nanotech organizations, provide a forum for researchers, foster entrepreneurial industry research, and coordinate nano-related interests around ethical, environmental, economic, legal and safety issues (NE3LS). 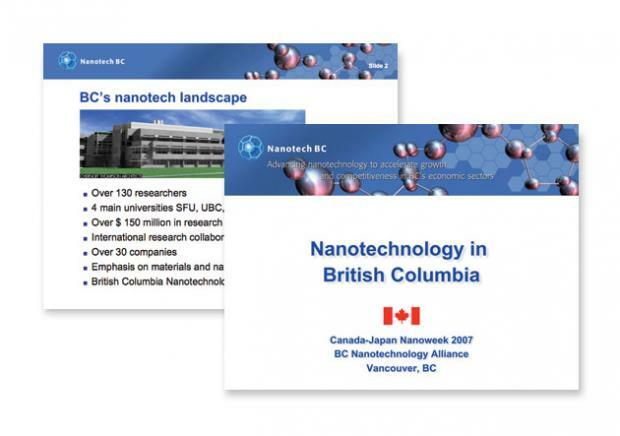 Being a start-up alliance, Nanotech BC had no presence within BC’s industry, academia and research communities. To establish the alliance and generate the required awareness and credibility, a new brand identity and positioning statement were produced. Once finalized, the new identity was applied in a consistent manner to all the marketing tools – from business cards, stationery, brochures to a website. 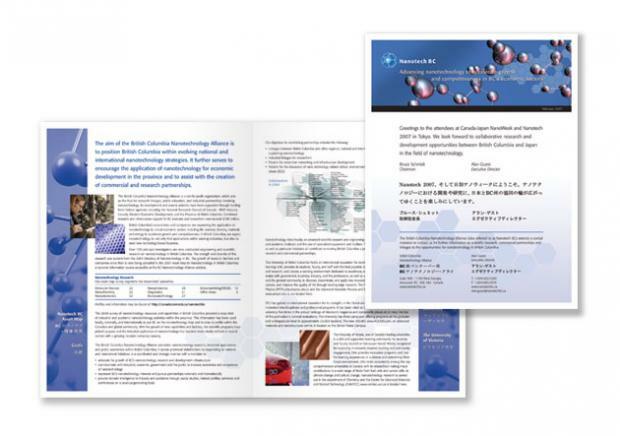 In the immediate years after launching the new suite of marketing materials, the company showcased its technological innovations and presented papers at the Pacific Energy Institute Conference Vancouver, Canadian Fuel Cell Conference Calgary, Hydrometallurgical Conference Toronto, Grove Fuel Cell Conference London, World Energy Conference Tokyo, Globe Vancouver, Fuel Cell Expo Tokyo, Conference of Metallurgists Calgary, Hydrogen & Fuel Cells 2007 Conference Vancouver and China International Hydrogen and Fuel Cell Investment / Trade Expo Shanghai. The company was also successful in raising over $4 million and developed joint-venture initiatives with Ionocom Inc., Gentrx Corporation and Seawolf Industries Inc.